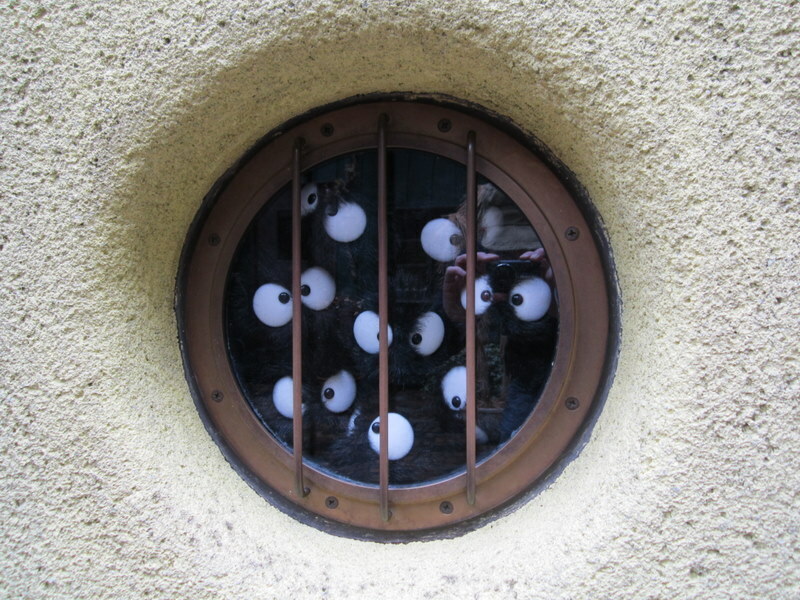 As mentioned, Sunday morning was the start of my last day in Japan. Sadly, I checked out of the Guesthouse Shinagawa and said goodbye to my favourite host Taka. 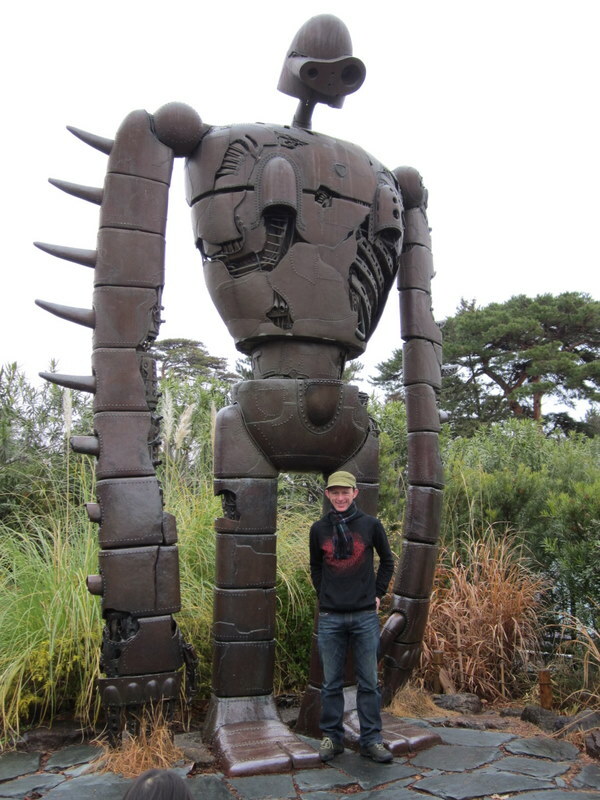 I headed to Tokyo station with my gear to dump in it a locker to spend my last day in my favourite place in Tokyo… the Ghibli Museum. 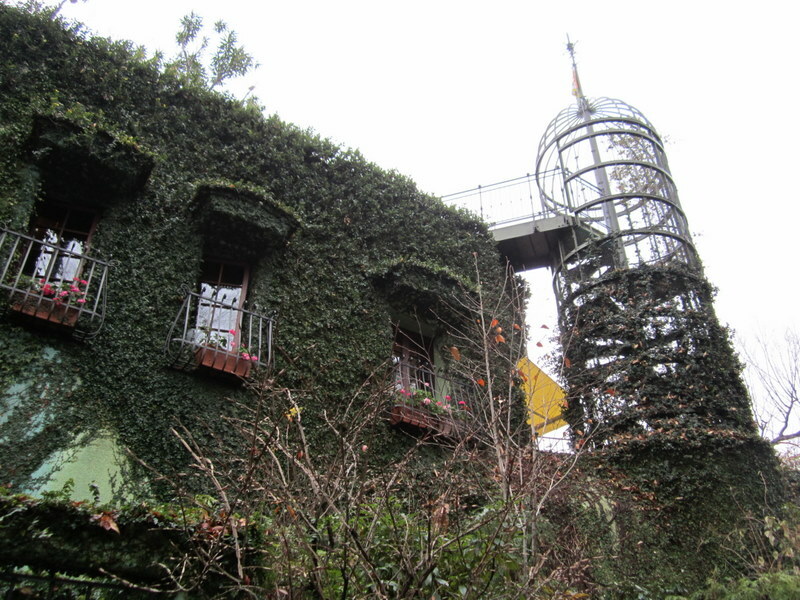 I probably won’t go on too much about how magical the Ghibli Museum is… I waxed lyrical in the blog post from the first time I went, so feel free to go back and read that one. But it is worth revisiting a little of the magic. I made sure to get there nice and early to maximise my time. So by 10am I had joined the queue to get in. Thankfully Ghibli limits the amount of people that can go each day so it is not like I was fighting Disney-like crowds. On arrival I was greeted by Totoro himself. 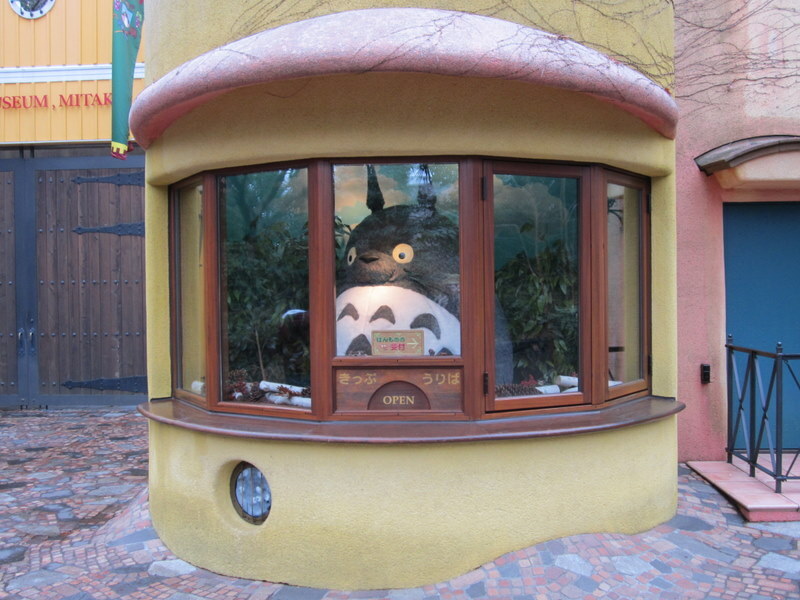 I was quite giddy wandering the streets of Mitaka to get there, but to see Totoro in the ticket window… well… it really just is quite magical. And he has so many things hidden in every nook and cranny. Some are outside where they are not part of the usual museum space… just designed for someone like myself to chance upon. Yep… I went on Cat-Bus. Not the same Cat-Bus that is for the kids, but another one set up especially for the exhibition there. I said I was giddy when i saw Totoro? Well, strike that. If I was giddy then I was beside myself to see the smiling face of Cat-Bus as I approached the exhibition room. And I won’t lie. I sat in Cat-Bus for a LONG time. 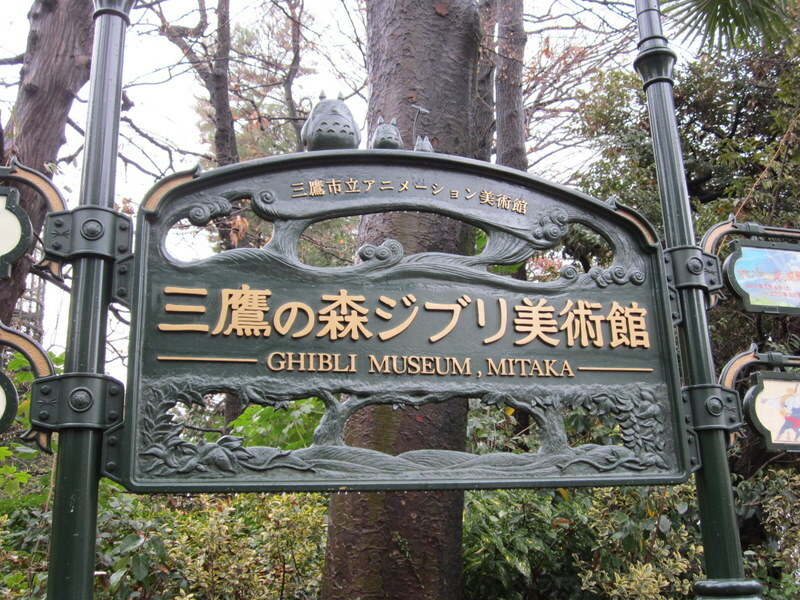 The rest of the exhibition was cool… physical scenes set up from many of the Ghibli movies. So for example you got to sit and eat at one of the stands from the start of Spirited Away and the like. Certainly cool, but it was always going to be worth it just to go on Cat-Bus. So after that up to the rooftop I went to greet the robot from Laputa. This guy certainly is one of the iconic things for me and my trips to Japan. 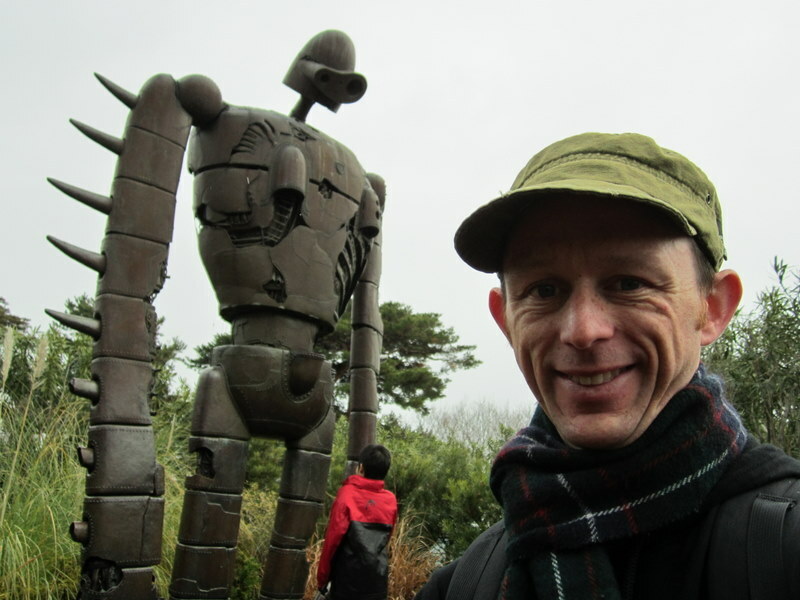 He stands there looking out over Tokyo and lets me get my picture taken with him. Man, I love that guy. In the end I spent about 4 hours just soaking it all up. During that time I saw the Ghibli short, a different one to last time. This was called “A Sumo Wrestler’s Tail” and couldn’t have been more appropriate. It was about a bunch of mice taking part in a sumo tournament. While it was all in Japanese, with no English subtitles, I could follow everything that was going on… in part because of the beautiful images and storytelling, but also because of my sumo experience just a few days prior. Seriously, the parallels were fantastic so that I could understand it all. Sadly, I said goodbye to the robot and the museum and headed back to Tokyo Station to collect my things and head to the airport. I made sure I had time and some yen left to grab some final kit kats. I need to check the tally but I think I got 19 different types in the end. Yep. Don’t worry… many of you will get a chance to sample them. So now I am back home, typing this from the comfort of my lounge room. Man I am tired, but staying up a little to get extra sleepy for a good night of shuteye. 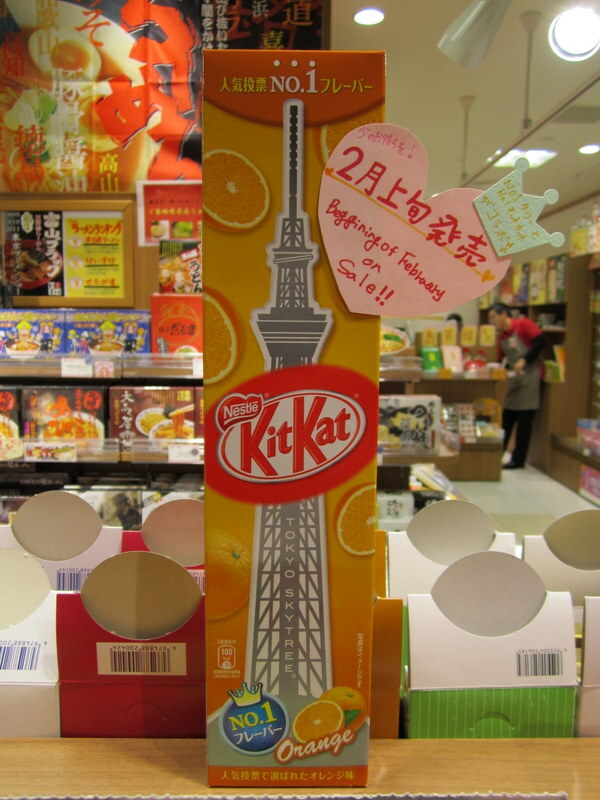 But Japan did tease me with one final image to make me want to go back… “Beginning of February on Sale!!”. Welcome back Matt and sad to see the travel end. Now to work towards and look forward to the next trip!! !